A public meeting with Steve Salt, District Head, Perry Barr and Alistair Wingate, Handsworth Against the Cuts. Local Councillors also invited. Following last Tuesday’s meeting of Handsworth Against the Cuts and the Save Laurel Road Campaign it was agreed to hold another of our popular Handsworth public consultation meetings, this time on the issue of the decision of the council to put the Laurel Road Centre forward for a ‘Community Asset Transfer’. If you wish to learn more of the impact that this could have on the future of the Centre and other council run public services, come along and join in the public discussion and debate. See full details below and find enclosed a doc. version you may wish to print out or forward on to your contacts. 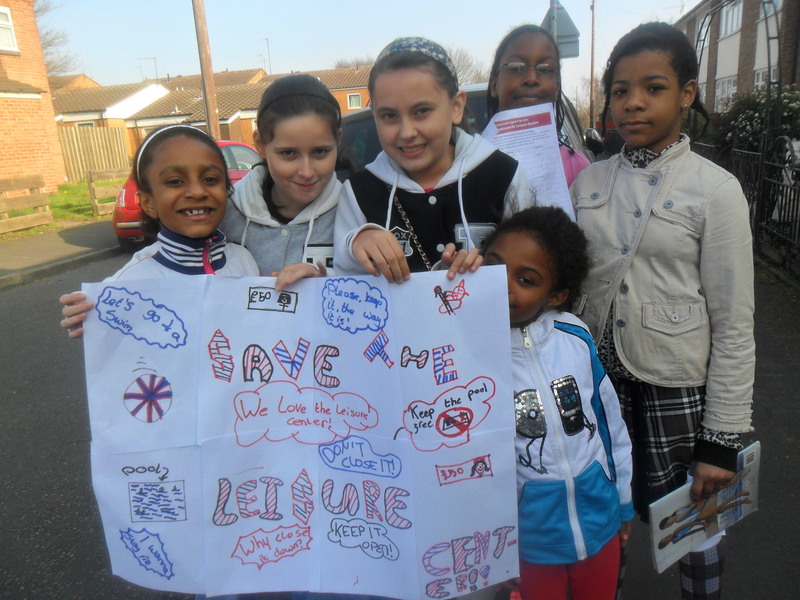 SAVE LAUREL ROAD COMMUNITY SPORTS CENTRE! followed by coffee and cakes! Further important dates for you diary – it would be great if you get to any of these meetings as events are moving at some speed. 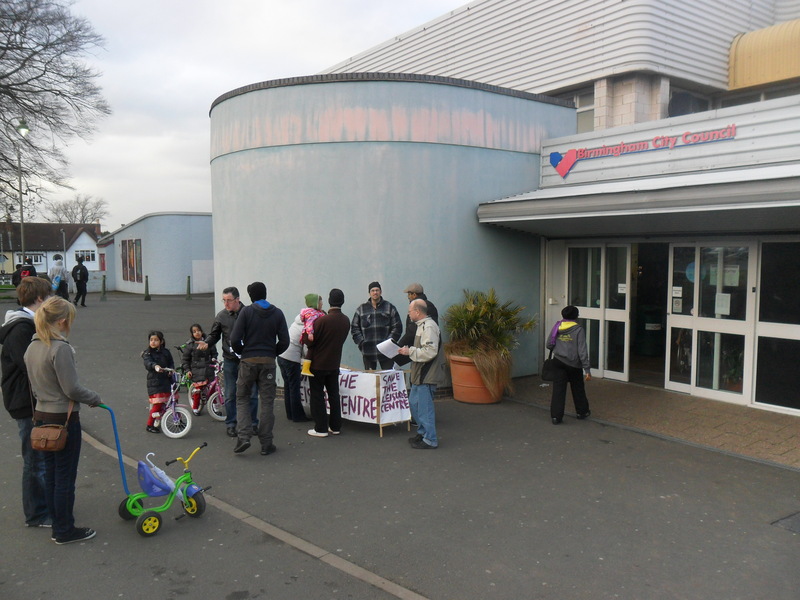 Save Handsworth Leisure Centre and Public Services! representatives and also a willingness to have attend/ hold a public meeting. We were also told that the councillors in the ward were against the privatisation. 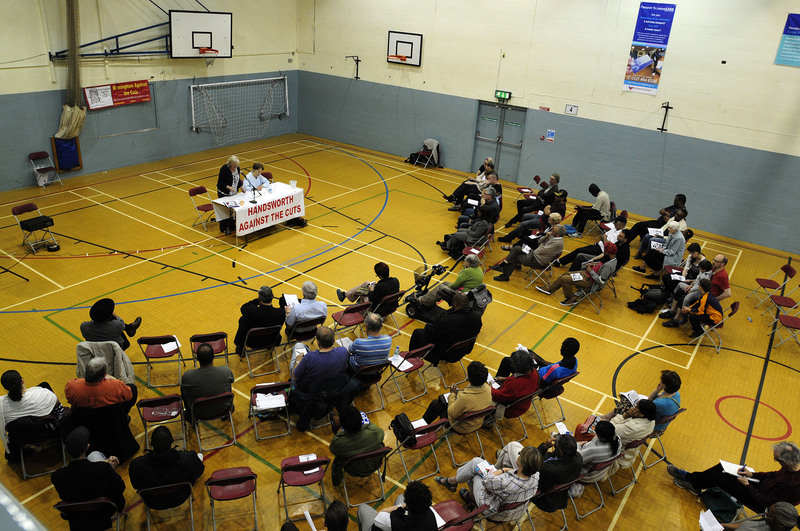 Other HATC activists had attended a Handsworth community conference and had raised the issue there that morning as well, so the pressure is being applied. The petition calling for restored opening hours at Handsworth Library will be handed in by Councillor Waseem Zaffar at the Council meeting on Tuesday 6th December. Initiated by Handsworth Against the Cuts, the petition has gathered a magnificent 860 signatures thanks to the many residents and community activists who got involved. At a meeting on Saturday 26th November, residents pointed out that the library is used by people of all ages and backgrounds – by those who need to use the computers, by schoolchildren doing projects, and by elders of the community who enjoy the safe and sociable atmosphere. Recent reports have revealed that cuts are happening to library services across the city – and these were never subject to consultation. Handsworth Against the Cuts will continue to push for proper opening hours for our own library, but not at the expense of others. We need to campaign to keep both our central and community libraries open for business. Tomorrow: All Out! Strike for Pensions Justice! Tomorrow is set to be a historic day, with one of the largest strikes in the history of the UK, as millions of public sector workers strike to defend their pensions, rejecting an offer by the government which would see them pay more, work longer and get less in order to pay off the deficit. 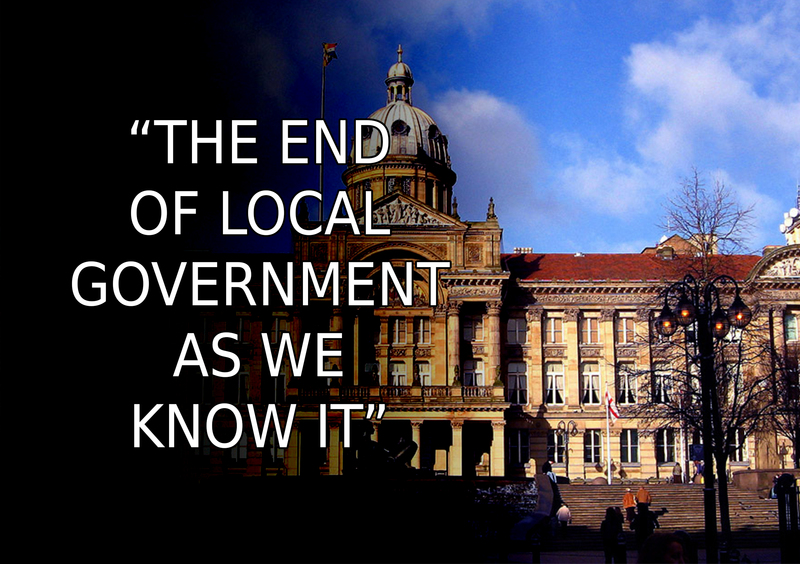 Almost every public sector union is taking part in this co-ordinated action, and there are plenty of things happening in Birmingham. This strike is not just about pensions, it is also about cuts, and defending the whole idea of a public sector providing services on the basis of need. From 4am there will be pickets at refuse collection depots around the city, with other workplace pickets running from 7am. Some confirmations of pickets have been received, and are listed here, but you should expect them at almost every council and government workplace. Parents should have heard from schools as to whether they will close, but with almost every teaching union, including the NAHT head teachers union, on strike we expect to see all schools closed. At 9am the first local demo, organised by Stirchley and Cotteridge Against the Cuts, gathers in Cotteridge. It will proceed to join the Selly Oak rally, and then the main TUC demo. These rallies will feed to the main TUC march which assembles from 11:30am at Lionel Street Car Park, and should proceed through the city centre. We have had uncomfirmed reports that Birmingham City Council want to charge us £10,000 to walk through our city! We hope that the TUC do not bow to pressure and pay up, and that we march through the city in defiance of this blatant attempt to prevent us expressing our democratic rights. Tomorrow is set up to be a great day – all it needs now is you! Remember that you can sign up to a union on the day and still strike, so at work today, or on the picket lines tomorrow, make sure anyone who isn’t unionised knows this, joins up and comes out tomorrow.